In contrast to land-based industries, a number of factors must be carefully considered for the off-shore and shipping sectors. Saline environment is more aggressive towards the materials used. Meeting customer expectations for 24/7/365 maintenance of mobile equipment requires a worldwide service organization capable of immediate response. Motors and fans must be classified by approved classification bodies. Limited space increases requirements on high output and small size. The design must also make installation and service as simple as possible. Due to our many years’ experience as a supplier to the maritime industry, Berg Jet is equipped to meet these special requirements and all our solutions are individually adapted to customer needs. Find your product below or contact us directly here. In order to minimize fire risks on board oil tankers, a layer of inactive gas is established between the oil and oxygen in the air. This inactive gas is fed into the ship’s tank by means of a fan. Berg Jet produces fans for use in inert gas systems, with a special coating on the parts in contact with the product. We supply fans and silencers to some of the world’s largest manufacturers of boilers for ships, in addition to burners for boilers and inert gas systems. Oceangoing vessels meet their hot water needs by heating water in the ship’s boilers. Berg Jet fans can safely supply the necessary air for this combustion process. We select the appropriate equipment based on customer requirements and adapt it to the physical setting. We are proud to supply our products to some of the world’s largest manufacturers of ship boilers, burners and inert gas systems. Berg Jet has expanded its product portfolio to include fans and silencers for offshore use. The offshore industry’s harsh environment demands high quality coating, welding, and parts made in proper materials. All required certificates are available for the customer. Prior to delivery, the customer may carry out a thorough inspection of the finished product, as well as a test drive. To ensure safe and clean disposal of waste, an incinerator may be used. As in all combustion processes, an accurate and secure supply of air is vital to ensure all particles are properly burned prior to being exhausted into the environment. Incineration is particularly beneficial for the treatment of certain types of waste such as clinical wastes and specific hazardous wastes involving pathogens and toxins that are destroyed at high temperatures. 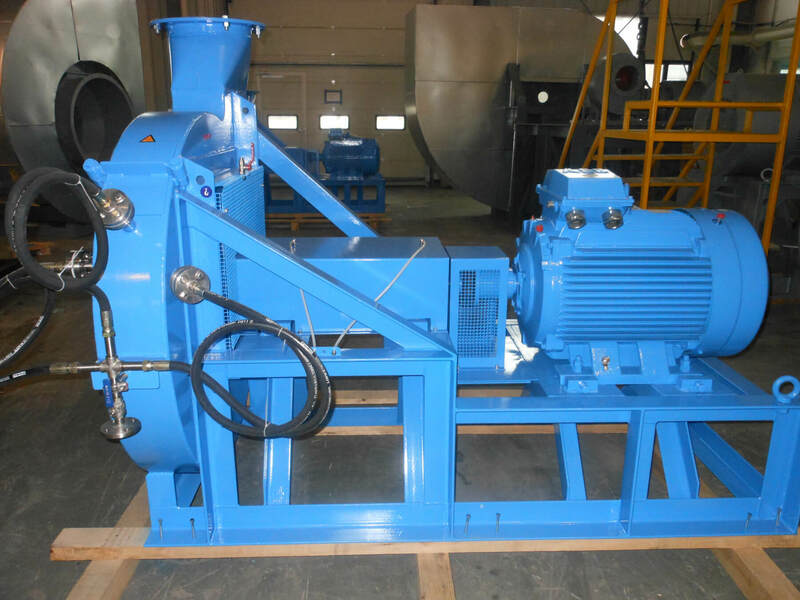 Berg Jet is a regular supplier of reliable medium and high pressure fans to some of the leading manufacturers of marine and land-based incineration plants. In certain instances, Berg Jet has also supplied directly to end users’ projects.